After his class placement exam, Akihisa finds himself stuck in Class F, the lowest-ranked class in school. The classroom is crummy and his classmates are all doofuses--it's no place to learn. 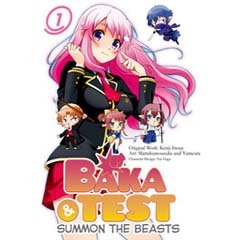 When honors student Mizuki Himeji is unfairly placed in Class F, Akihisa steps up to help the damsel in distress by proposing a Summon Test War against the elite Class A!